A request from one of my readers led to this video. The methods for getting your audio files into Dragon for Mac and NaturallySpeaking for Windows are quite different – this clip shows you both. Hope it helps! Should you pay for Dragon Anywhere? I love dictation. I love how quickly it enables me to write and, in turn, the time I save to do things other than working – like being with my family or bingeing on the latest series of “House of Cards”. As wonderful as it is, though, I find it incredible that we are still tied to a desktop application to get the best results. 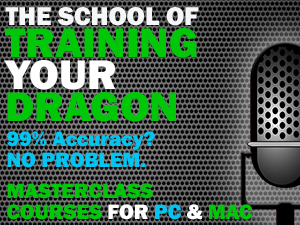 Obviously, if you are dictating into your PC or Mac then Dragon has the ability to learn from its mistakes and build an increasingly accurate profile of your voice and writing style. The processing power required to do this (and to physically store the large file containing all your dictation data) is beyond the capacity of most mobile devices. A few weeks ago, I took delivery of a shiny new 12.9 inch iPad Pro. Once you get over the initial shock of a tablet that is literally bigger than your head, you are struck by the sheer power of this thing. The A9X processor Apple has put in this device (combined with 4 GB of RAM) is desktop class and, boy, can you feel it in use. Along with its recently released smaller version, this is a tablet that I have no doubt could comfortably run an iOS-optimised version of Dragon. So why won’t Nuance make one? Instead, they’ve given us Dragon Anywhere. On the surface, it’s great – super accurate, continuous dictation finally available on a mobile device. But just like the long neglected (but still perfectly usable) iOS Dragon Dictation app, all the recognition processing is done remotely. It’s the same as using Siri or Google Now – you speak, a server somewhere on the planet thinks about what you said and, a second or two later, the results are whizzed back to you. The big advantage of Dragon Anywhere is that unlike all of those examples, there’s no 30 or 60 second limit on your dictation – you can just keep talking, as you would in the desktop version. One big upside is you can run this on pretty much any mobile device that supports it – both iOS and Android. The downside? All of that power I talked about in a device like the new iPad Pro is going to waste. The sad reality is that desktop PC sales have been declining quarter on quarter for many, many years. While Microsoft certainly doesn’t need to worry about the state of Windows just yet, there’s no question that people are moving to Macs or even mobile devices to get things done. I love the idea of one device that can just about do everything. I’m not a gamer or too heavily into video editing, so my mobile needs are simple – I want something lightweight with a great screen that is capable without needing liquid cooling. I have a Mac desktop (also running Windows under Parallels) for the heavy lifting back at my desk. I’ve owned several Microsoft Surface devices (including the latest Surface Pro 4) and every one of them has been riddled with hardware problems, software issues or both. As ideal a portable Dragon setup it seemed, I finally gave up in frustration on that avenue recently. The iPad Pro would be an ideal Dragon device for me on the road – it’s easily powerful enough, has plenty of storage and the screen is gorgeous. But Dragon Anywhere doesn’t take advantage of it and I think the reason for that is simple – money. Dragon Anywhere is expensive. Really expensive. It uses the subscription model (something I have a sneaky feeling Nuance may shift to in the future for the desktop product, as well) and costs an eye-watering $15 per month or $150 per year. For a mobile app that doesn’t even interact with the desktop product (despite what Nuance claim, the synchronisation is minimal), the pricing is absurd. And this ties in to the reason why Nuance will probably never make a desktop-rivalling mobile version of the program that doesn’t rely on an Internet connection – they can’t sell it for enough. Mobile apps are cheap. Could you see Nuance developing and selling a version of Dragon for iOS and Android that cost, say, $10? Not a chance. Not even $20 or $30 would cut it, and that would be considered expensive in the average app store. So $15 per month it is, then. Is it worth it? It depends on how desperately you want to use Dragon on the move, but I struggle to see the value. Dragon Anywhere needs a constant Internet connection to work and, disappointingly, is little more than a dictation notepad. You can’t simply talk directly into, say, your mail app or the mobile versions of Word or Pages. 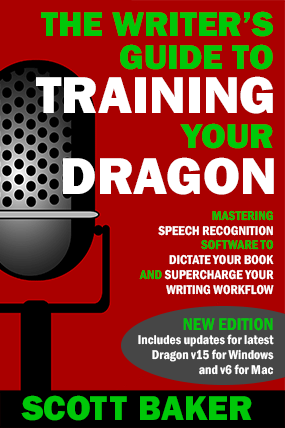 Everything you say is translated within Dragon Anywhere and must be copied and pasted from there – and, of course, if the app crashes, it will take your dictation with it. It’s also accurate, but only to a point. There’s no profile being saved, so the only thing it remembers (and syncs, if you have DNS Professional or Dragon for Mac 5) is your custom vocabulary. There’s no training of your voice or writing style going on. None. So, it seems, the best way to dictate on the move is still to use transcription. That means having the full version of Dragon installed on a Mac or PC somewhere, but until Nuance rethink their mobile strategy, it’s probably still your best way of writing while you’re away from your desk. 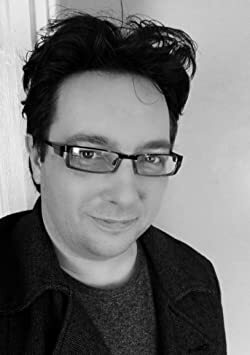 Author Scott BakerPosted on June 1, 2016 September 22, 2016 Categories Dragon, TranscriptionTags Android, Dragon Anywhere, iOS, Mac, Mobile, Naturally Speaking, PC8 Comments on Should you pay for Dragon Anywhere? If you’ve decided to buy a voice recorder for portable recordings, you might want to use a headset to free up your hands when moving around. Any one will do, right? This quick video shows you the type of headset you will need and how to set it up with your recorder.